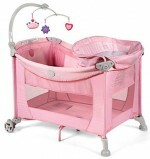 The U.S. Consumer Product Safety Commission and Health Canada, in cooperation with Dorel Juvenile Group, today announced a voluntary recall of about 213,000 Safety 1st Disney Care Center™ Play Yard and Eddie Bauer Complete Care Play Yard because the one piece metal bars supporting the floorboard of the bassinet attachment can come out of the fabric sleeves and create an uneven sleeping surface, posing a risk of suffocation or positional asphyxiation. 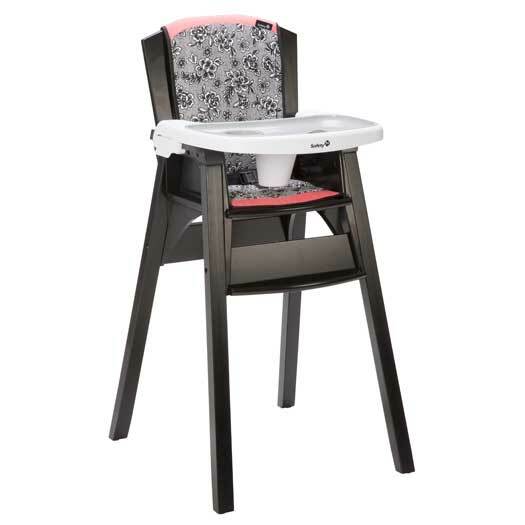 Consumers should immediately stop using the bassinet attachment to the play yard and contact Dorel Juvenile Group toll-free at (866) 762-2166 between 8 a.m. and 5 p.m. ET Monday through Thursday, 8 a.m. and 4:30 p.m. 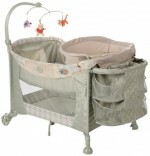 ET Friday, or visit the firm’s Web site www.djgusa.com for a free repair kit including replacement bassinet fabric, bassinet bars and installation instructions. Unfortunately, the recent media headlines surrounding baby carriers has been a bit misleading in that they infer that ALL “baby slings” are excessively dangerous. While there are risks associated with using any baby carrier it is important to understand that not all “BABY SLINGS” are created equal, especially when it comes to safety. The recent news and recall has occurred due to poorly designed products manufacturer by Infantino, a San Diego based company that sold the SlingRider “BAG STYLE” sling. The excess fabric, position of newborn, and overall design of this Infantino product is much different than that of “Pouch Style” slings. In “bag-style” slings, the deep pouch where baby sits puts the baby in a potentially suffocating curved or “C” like position. Also, excessive fabric of the Infantino carrier with an elasticized edge may cover baby’s face inhibiting breathing. In contrast, shallow “pouch-style” slings, ring slings, mei tais and wraps hold baby in proper alignment and they fit snugly by design and instruction. 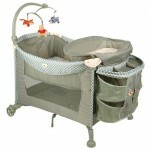 The Swaddlesport Pouch Style Carrier is a solid example of a “Pouch-Style” Carrier that was designed with safety and comfort in mind. The Swaddlesport is not only designed to carry a child in the proper alignment but is also constructed of unique breathable fabric that may allow better oxygen flow through the sling while simultaneously wicking moisture away from the child, helping to keep baby and wearer free from sweat. It is also worth noting that Swaddlesport Pouch Style Baby Carriers have been tested by an independent third party testing facility to comply with U.S. Consumer Product Safety Commission’s guidelines for “child care articles” and to comply with certain voluntary ASTM safety standards for “Soft Infant Carriers”, specifically the “dynamic and static use” testing. Regardless of the carrier one decides to buy, make sure it comes packaged with specific wear instructions and safety notifications. Plus, it is crucial to read all wear instructions and safety notifications prior to ever using the product.